Today I am thinking about the hundreds of hours, all of the energy, thousands of dollars, the extreme effort and really hard work I have put into my education and training for my career and I suspect you have done the same in building your career. When you studied for your career you spent thousands of dollars and months, maybe even years of your life , being taught by people who were experts in your field. You listened to them and they taught you how to be successful in the career of your choice. While I don’t know what your area of expertise is, in our thirty eight year career we have been blessed to have been able to help thousands of people in the area of relationships training. Now we are offering to be your relationships experts, to share with you what you can do to improve your relationships and your relationship-ability. But first let me ask you, which relationship school did you go to? Who are your relationship teachers? How much time, energy and money have you invested in learning how to build outrageous dynamic relationships? If you are like most of us that answer is very little. There was not very much professional education available to us in the area of relationships. We learned our relationships skills when we were children by osmosis. We watched our parents or other significant adults in our life at the time and we made decisions about relationships based on how we saw them interacting with each other and in their relationships. Then based on the decisions we made at that time we either did our relationships exactly the same as our parents did their relationships or we did our relationships exactly the opposite of how they did their relationships. 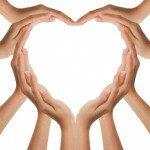 Neither however, supported us in having loving, nurturing, alive and satisfying relationships. Relationships are the most significant impact areas of our life. The divorce rate is 50% caused by relationship problems, suicides are at an all time high and the number one cause is relationship problems, substance use and abuse is a plague on our society and an underlying cause is relationship issues. We have spent thousands of dollars on therapy, psychiatry, psychology, drugs (perscripton and recreational) and other remedies, which was like putting a band aid on our heart. Until now we have had little to no training or education in how to conduct supportive, satisfying, nurturing and empowering relationships, which is why we are offering our Dynamic Relationships Training Program online. We are educators and for more than thirty eight years we have worked intimately with thousands of people helping them improve their relationships. By helping our clients discover their own personal responsibility in how their relationships are working out and that they are the one common denominator in all their relationships they begin to regain their power and can heal themselves and their relationships. 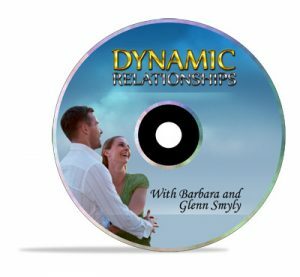 So now we have made our Dynamic Relationships Training Course available for download on the Careapy® Learning Channel to help people improve their relationships. Whether you have great relationships or not there is always room to improve. Please come visit our web site, www.careapy.com, so you can begin to build more outstanding, outrageous and dynamic relationships starting right now. The people you love will love you more for your commitment to make your relationships better and you will be amazed at how much the will change after you have taken the Dynamic Relationships Training and changed you. Oup prayers are with you and may all your hopes, wishes and dreams come true. Good Luck and God Bless You and Your Relationships. Heal, forgive and integrate life’s lessons. Live with more enthusiasm, honesty and love.